The Eastside Hill Neighborhood Association is continuing to work with the City of Eau Claire to make Margaret Street safer for everyone – people walking, biking, riding the bus, or driving. While EHNA did work with the City on Margaret when the neighborhood plan was written in 2007 and when the street was redesigned and rebuilt in 2008 and 2009, work remained to make it safe for neighbors from age 8 to 80. The EHNA Steering Committee began this new process a year and a half ago by inviting the City’s Transportation Engineer, Leah Ness, and our City Council members, Kathy Mitchell and Andrew Werthmann to our monthly meeting to discuss Margaret Street. The basic outcomes for a safer Margaret Street would be people driving slower and fewer people cutting through the neighborhood on the street. The EHNA conducted a survey of neighbors and analyzed the conditions on the street. This meeting initiated a dialogue between the Steering Committee and the City’s engineering office, leading to crash analyses, speed studies, and traffic counts. 1. Lower the speed limit on Margaret Street from 30 miles per hour to 25 miles per hour, which adds 19 seconds to the 1:34 travel time at 30 mph; – Complete! 2. Install stop signs on Margaret Street at Highland Avenue to make the intersection a four-way stop; – A decision to pursue this issue is on hold until we evaluate the effects of the lower speed limit. Data collected by City Engineers does not meet warrants for stop sign installation as established in the Manual on Uniform Traffic Control Devices (MUTCD) for vehicle counts and crashes. Would require City Council ordinance and a champion from City Council being supported by a concerted neighborhood campaign, which do not currently appear. Success has been achieved on the speed limit with the street recently receiving new signage as a 25 mph street and new street trees coming soon. In a bit of a fortuitous surprise, it was discovered that the City Code of Ordinances had not designated Margaret as a 30 mph street, so the City merely decided to acknowledge the oversight by taking down the 30 mph signs and putting up 25 mph signs. 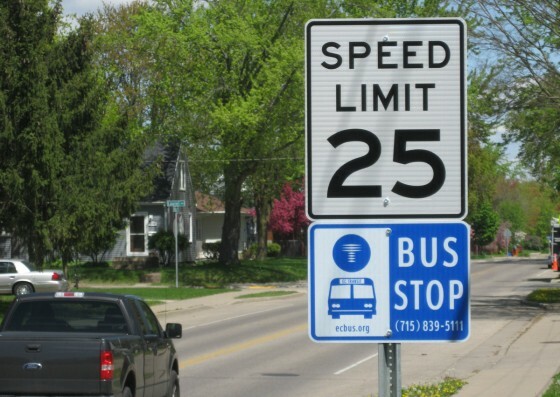 This decision came only after significant pressure from neighbors contacting the City Council to ask that street stay at 25 mph. Our City Council members, Kathy Mitchell and Andrew Werthmann, followed up with City Engineers on this matter. Neighbors Eric Anderson, Jason Duba, and Mark Ruddy stuck with this issue for a year and a half on behalf of our Association to a good outcome.